It's hard for me to believe that it's already a new year. I had a week and a half off work and I'm trying to figure out where it went. I was pretty quiet on the blog because I spent 5 days in Colorado over Christmas and 3 days in Pittsburgh for New Years with my college friends. I didn't bring my computer on either of these trips because I work on a computer almost 8 hours a day at work. I needed to unplug, even if it meant neglecting the blog. Last year I laid out a few specific resolutions. I thought that by broadcasting them to the world that it would hold me more accountable. I did all that I intended for a time, but there's no one in June asking "did you keep that resolution I read about 6 months ago?" This year I decided to take a different approach. More of a theme for the year. I decided to choose a word that would play into all facets of my life. After thinking about this for awhile, I found out about One Little Word®. This makes so much sense to me. Pick a word that you want to represent your year and then relentlessly pursue it. I decided that for 2015, my word is Strength. I ended 2014 feeling very weak. In November I got a bad sinus infection. That combined with a small procedure I had to have kept me from working out for almost a month and a half. If you know me, I am very adamant about working out. For me it is more than about being in shape physically. It helps me to clear my very busy mind and is a huge stress relief. I not only felt weak physically, but mentally stressed and cluttered. I've also been feeling very creatively exhausted. This has manifested on the blog as I've posted less. Less overall posts and a lot less recipes. My break from work was much needed and I realized I need to be more intentional about taking breaks that allow me to recharge. This is where strength comes in. I want to be stronger physically, emotionally, mentally, and spiritually. So what does that look like? Physically: For starters I bought new running shoes. I ran a lot in high school, but have lapsed in the past few years for other types of exercise. Emotionally: Long distance is very hard. It has been seven months now. I'm working on accepting the distance and planning for the future that we want to have together. Mentally: I've always been a big reader so I would like to read more challenging books. I've also realized that to keep from getting creatively exhausted, I need to be intentional about being creative. The One Little Word® project will hopefully give great prompts. I've also learned to crochet so I'm planning on making a few projects with that. Overall I need to go out looking for inspiration, because waiting for inspiration to find me is tiring. Spiritually: I've been working this year on my relationship with God and I hope to spend 2015 developing it further. I'm excited for the future of Katy's Kitchen. I've already made some minor design changes and there are more coming in the next few weeks. 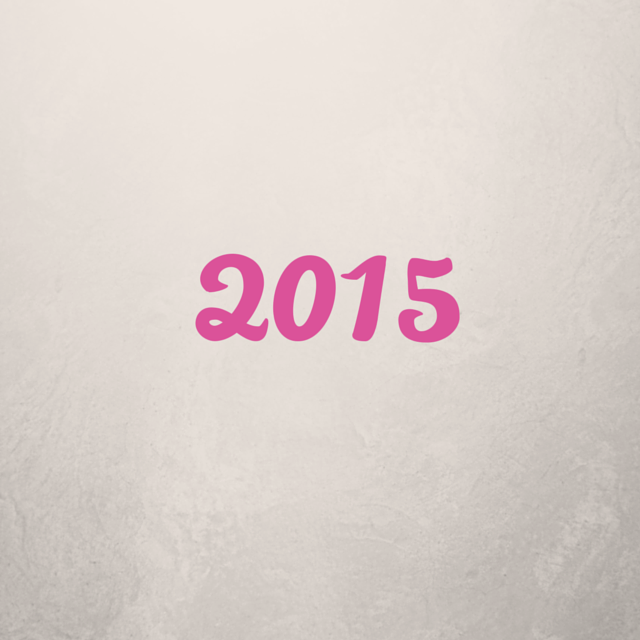 Here's to a better and stronger 2015!